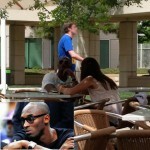 Another aspect of embodiment of the invention pertains to use of gestures with one's arm or wrist to provide a user input to an electronic wristband. For example, once a notification request is received at an electronic wristband, the electronic wristband can notify its user. The electronic wristband can also seek a response to the notification. In one embodiment, the electronic wristband can monitor one or more sensors to detect a user gesture with the user's arm or wrist. For example, the sensors can include an accelerometer and/or gyroscope. Typically, the sensors are digital sensors. The gesture can correspond to specific movements of a user's wrist or arm can vary with implementation. For example, the gesture might be a horizontal movement for one user input option (e.g., decline incoming call), and might be a vertical movement for another user input option (e.g., accept incoming call). For example, the gesture might be a single shake (or bounce, tap, etc.) of the user's wrist for one user input option (e.g., accept incoming call), and might be a pair of shakes (or bounces, taps, etc.) for another user input option (e.g., decline incoming call). While the described technology may never make it into a final product, it does show how an Apple wearable might actually work. 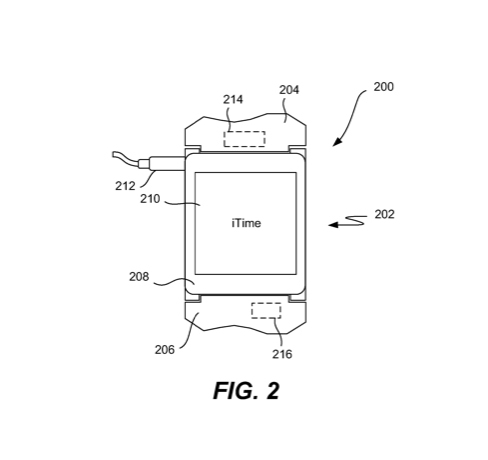 The most recent rumors peg the “iWatch” to finally make an appearance sometime this year. Most recently, reports say the wearable could possibly come in a number of screen sizes, including a 2.5-inch version. Along with a number of sensors to help track overall health and fitness, the device will reportedly be heavily integrated with iOS 8 and the new Health app. One analyst noted that Apple could sell between 30 million and 60 million units of the device during the first year. 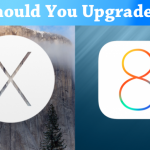 Should you upgrade to Apple's iOS 8 beta 4 or OS X Yosemite developer preview 4?